As a last stop, the New England Seafarer’s Mission sits adjacent to Cruiseport Boston on Black Falcon Ave in the port of Boston. 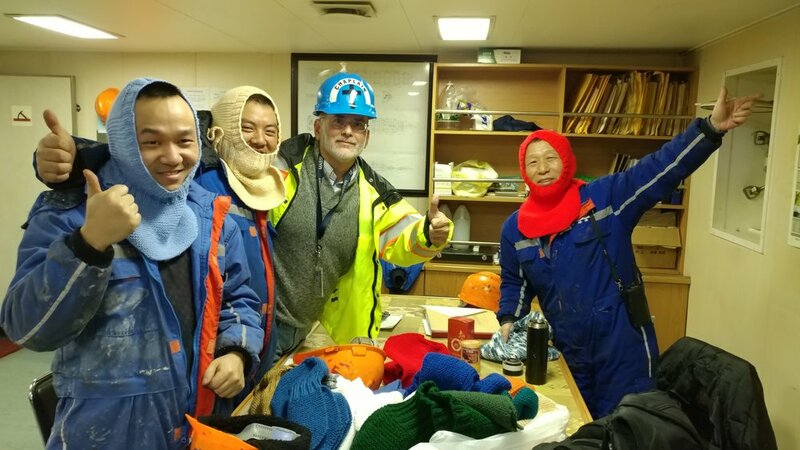 Founded for seamen and immigrants in 1880 as the Scandinavian Seaman’s Mission, this organization has gone through multiple transformations and today serves cruise ship staff, port workers, and seafarers working on container ships. Previously located on Commonwealth Pier, Charlestown Navy Yards, a building near the World Trade Center, and then in a trailer that blew away during a hurricane, the current cruise ship ministry developed in the early 1990s after cruise ships started to stop in Boston, initially on Boston-Bermuda runs. 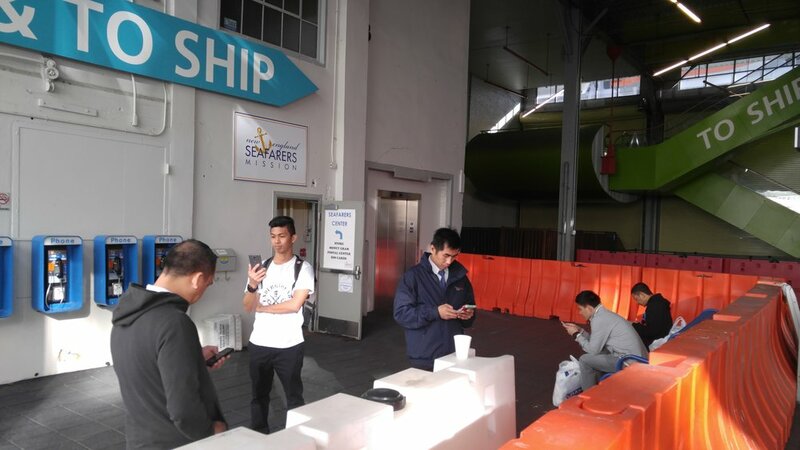 Supported primarily by the Covenant Churches, the Mission offers a small chapel or prayer area alongside free high-speed internet, a MoneyGram facility, and a small store stocked with toiletries, candy and treats from around the world. Bibles in multiple languages fill shelves next to brochures about safety and the rights of seafarers. The facility is busiest May through October when cruise ships come in to port and crew have a few hours off to stretch their legs, call home, send money home, and maybe do some shopping. 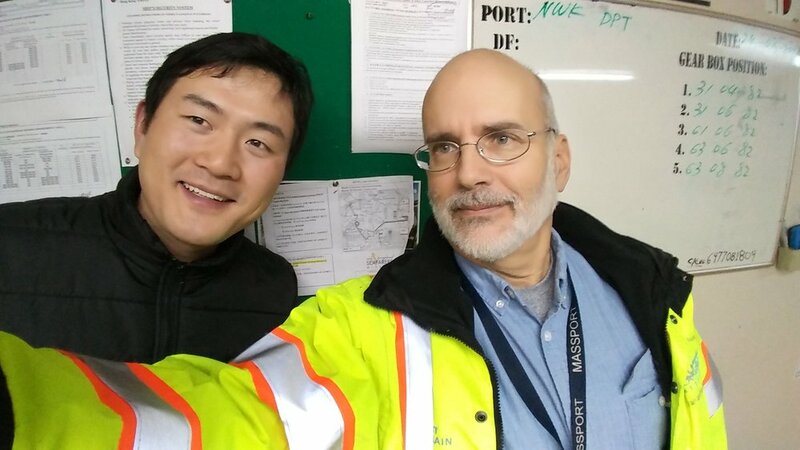 Executive Director Steve Cushing, seen at right working on the harbor with ships' crews, boards container ships year round offering a welcome, phone cards and assistance – especially to seafarers without visas to come on shore. The chapel consists of a kneeler situated under a tapestry that depicts Jesus’ Last Supper; it sits in the corner of the third floor of the building. These initial glimpses hardly begin to describe the more than sixty hidden sacred spaces we located and documented across Boston. We encourage you to explore the photos and histories of others on this site and to share stories or experiences you have of these and others we are yet to document. Most all of the spaces in healthcare organizations, colleges, and universities are open to the public so consider a short visit if you are in the area. While some of these spaces are regularly filled with people, like those in the state prisons which are not accessible for obvious reasons, others are usually quiet oases from a world of sound. A few places – the Dana Farber Cancer Center, the Cancer Center at Massachusetts General Hospital and Harvard Business School – include healing gardens in the midst of these spaces. Consider, as you explore these spaces on the web or in person, what you find welcoming and spiritual as well as off-putting. Look at how institutions try to make space for people from a range of religious and spiritual backgrounds, including those with no such backgrounds, and see if there are chaplains around to share the history of these spaces. Mostly feel connected with generations of Bostonians that came before and have used some of these spaces for at least the past one hundred years. Happy Exploring!